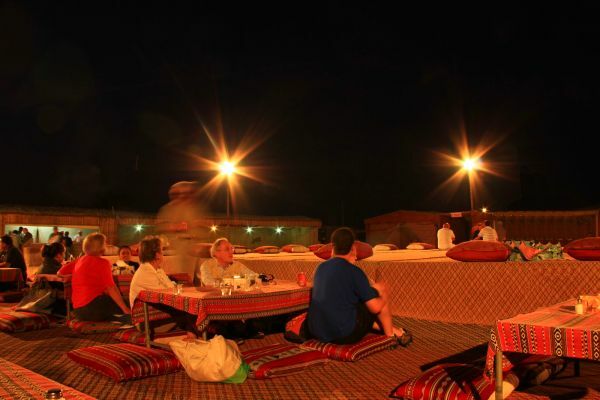 An unforgettable experience sleeping under the sky full of stars in the middle of the desert. 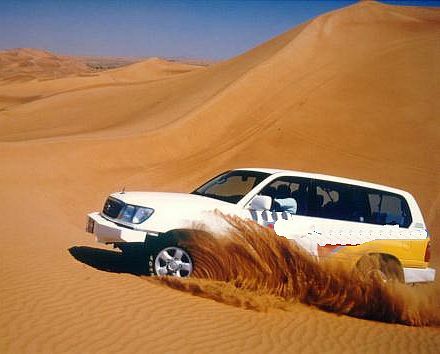 We leave Abu Dhabi at afternoon and set out for the golden desert in 4X4 luxurious vehicles. We drive over sand dunes to reach our Bedouin camp site where there is the opportunity to ride on camels, sand skiing / boarding , enjoy a sunset, soft drinks, tea and coffee, Shisha for smoking. A mouth- watering barbecue garnished with fresh salads will be prepared and served after the sunset. There is now plenty of time to relax around the wood bonfire and enjoy the desert quietness before going to sleep under the stars. Tent and sleeping bags are provided at the site. Sunrise will wake up for morning breakfast before we head back to Abu Dhabi.